Fresh Energy – “We empower people”. Fresh Energy customers enjoy power consumption with full transparency and without any additional payments or hidden costs. Customers get 100% green energy, a free Smart Meter, and an intuitive energy app, which details their actual electricity consumption as well as the actual costs of individual household appliances. Our technology makes it possible to fight “power guzzlers” and suggests ways to reduce or avoid excessive energy consumption. Christian is a serial entrepreneur. He is co-founder and CEO of Fresh Energy (www.getfresh.energy), generating unparalleled insights based on smart meter data. From 2011 until 2017 he was co-founder and managing director of KIWI (www.kiwi.ki), building a city-scale handsfree access-as-a-service system. Prior to KIWI, he co-founded Kirsen Global Security in the Silicon Valley that became global leader in container security and exclusive provider for DB Schenker. Christian still serves on the Board of KIWI as well as Kirsen. 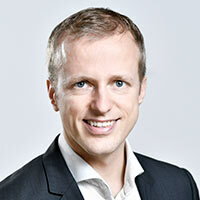 Christian has more than 5 years of experience as senior consultant with McKinsey. In 2016, he was appointed as Board member of the innogy (former RWE) Digital Transformation Board. In 2009, he was appointed to the Advisory Board of the UC Berkeley BA International Diploma. Christian holds a Ph.D. (Dr.-Ing.) in security technology and logistics and a master (Diplom) in energy management and chemical engineering from the University of Technology in Berlin, Germany.